Sussex is at its peak in the warm months, with gardens in full bloom, idyllic countryside and village festivals. There is something for everyone here, and summer would not be summer without at least one trip to this beguiling county. To make most of your trip to Sussex, join or attend some of the fun and exciting happenings in the city. Since there are many festivals and activities in Sussex, a car hire in Brighton or campervan hire in East Sussex booked through VroomVroomVroom will come in handy when going to some of the events listed below. One of the finest managed landscapes in England, the grounds include gardens, woodlands, winding paths, fountains and springs. There is always something at its peak here. During Special Rose Week, June 9-17, over 90 different varieties bloom within the formal Walled Garden. Pyecombe, north of Brighton, is the scene of several show jumping events throughout the summer, predominantly in June and July with fewer events in August. 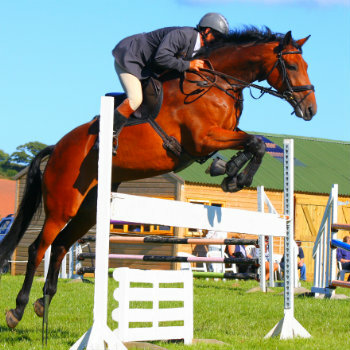 Competitions are usually held on Saturdays and Sundays including the Pyecombe British Show Jumping Young Horse Show on July 8 and July 11. Why wait for Wimbledon? See some of the world's top ranked male and female tennis players fine tune their grass court skills at this exciting event. Head to Devonshire Park on June 23 for an action-packed grass court tennis action. If you are in the mood to dress up, join the Ladies Day on June 27. As summer blooms run riot, over 70 community spaces and private gardens open their gates to visitors. Drive to the town of Burwash on June 25 to see beautiful gardens with stunning views including the home of famous novelist Rudyard Kipling. Witness a collection of diverse private gardens at the Brighton MacMillan Coastal Garden Trail on July 29 and 30. Enjoy the real thrill of a medieval jousting tournament at Arundel Castle. The Jousting and Medieval Tournament on July 30 draws top knights from around the world, and features storytellers, musicians, crafts, and archery. 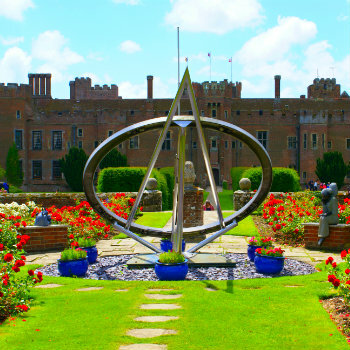 While visiting, do not miss the spectacular formal gardens. Where better to discover the haunting beauty of medieval England than this spectacular castle nestled in 600 acres of gardens and woodland? The Medieval Festival, which runs from August 26 to 28, features hog roasts, market traders, entertainers and live music, and more than a thousand knights and soldiers to re-enact thrilling battles. These are only a few of the things you can do in Sussex this summer. Almost every town has an Open Gardens day, or a town festival or crafts fair, so no matter where you visit or when, there is sure to be an event nearby. Do you know other exciting summer events in Sussex? Please share them in the comment box below.